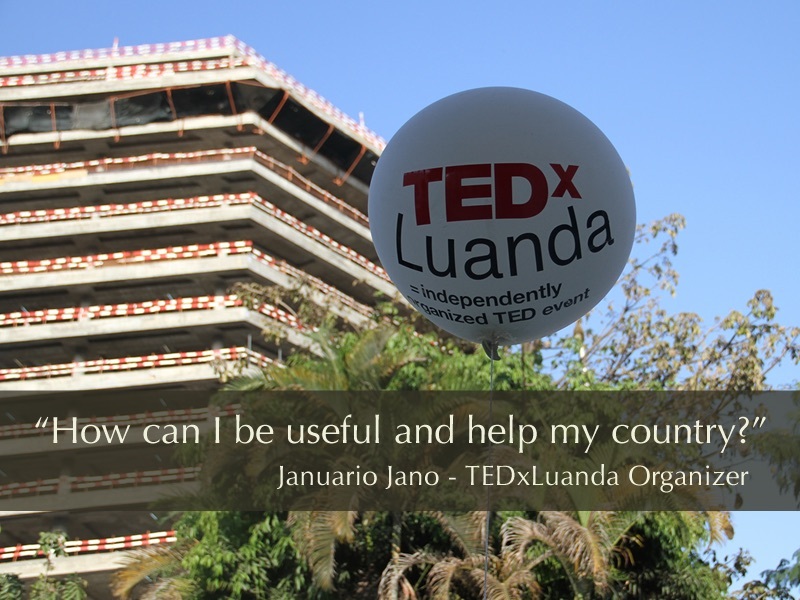 In 2012 he wanted to get a license for Luanda and applied, however, he wanted a more significant event than 100, so he invested in attending TED Active in Palm Springs. He came back home to educate his community and friends about the power of TED. Since then, he also made the trip to Doha for the TEDxSummit. In 2005 Luanda became an economic boom town. Playing on this, Jano blends the regions deep African roots with entrepreneurial vitality to create a unique event. I love his story about having a big dinner the week before where past speakers, the current slate of speakers, local leaders, influencers and the press gather around great food to get excited about the upcoming event. Jano does this cool thing after the event, he takes a few of the speakers, and they travel hundreds of miles into the countryside taking the talks and ideas out into the villages that would never be exposed to them. I started watching TED Talks in University in London. They do a pre-TED event in the week before where they invite past speakers, local leaders, influencers, the current speakers and the team to preview the upcoming event. The Creative process – collaborating and producing. The amount of work involved (where have we heard that before?) and building a stable team not wholly made of students. Be realistic with your available resources. Reframing the event as ideas worth doing and creating impact.